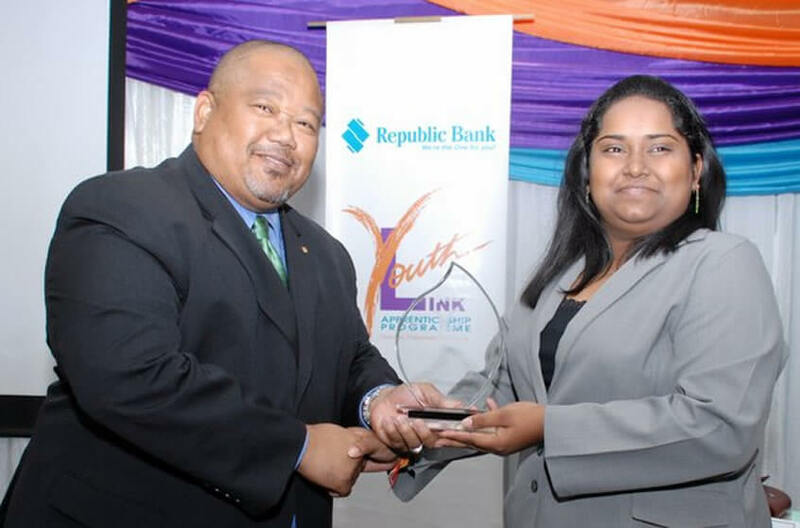 These were the words of advice shared by Derwin Howell, Republic Bank's Executive Director, as he delivered remarks at the graduation ceremony of the Republic Bank Youth Link Apprenticeship Programme. The ceremony took place at Republic House, Park Street, on May 8, 2013. Thirty-three young adults graduated from the programme. 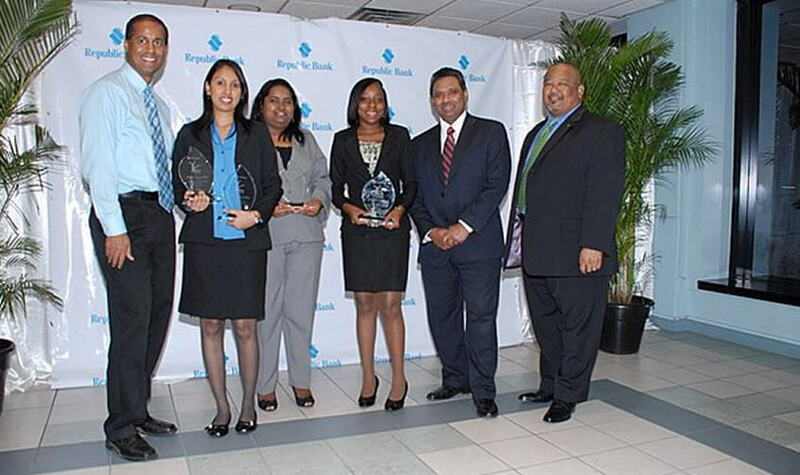 Howell said that through the programme, which was conceptualised in 1986, the Bank has been able to demonstrate its commitment toward youth development. "We hope to continue to inspire, motivate and instill proper work values and ethics in those who complete the programme." he said. The objectives of the seven month programme were to equip the participants with the basic training to engender marketable skills in business-related disciplines, with the aim of improving their career options and personal development. The programme also featured a motivational session by Pastor Clive Dottin, educational sessions by RAPPORT on AIDS/HIV and business workshops by C2M Company Limited. Well known author, Paul Keens Douglas delivered the feature address at the graduation. At the ceremony, 2010 Digicel Rising Star's first runner up, Rue-Anne Cabralis wowed the audience with her exceptional and talented singing. Certificates of participation were awarded to all the Apprentices, along with four special awards, which were presented to those who excelled in the areas of Most Disciplined, Most Improved, Best Business Project and Best All Round Performer. The Bank congratulates all the young people who participated in the programme and wishes them all the success in their future endeavours.